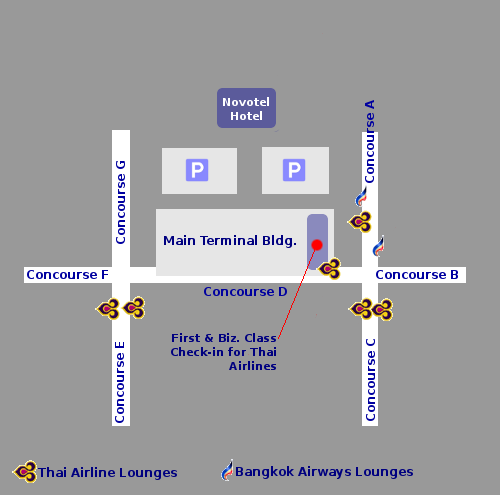 The concourses are in an "H" or double-plus ("++") shape. There are seven concourses in all, lettered A to G. Concourses A and B are used for domestic flights. Concourses C through F are used for international flights. Concourse G is mainly used for charter and VIP flights. For international passengers, the airport's numerous duty free shops line level four of the Concourse D.